Well I have decided to defer the Philly Tri until next year. I have done this races 3 times and it is fun but after Boston I have no desire to train hard for something and I have not been in a pool so that is a problem also. I am going to do some road racing since I have the time now. 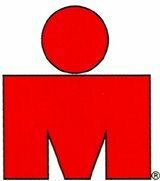 There are some local races that I want to do and not have to train for. I will keep all posted on my running races as we enter the summer months.